~ Do Some Spring Cleaning With An Intuitive Counseling/Energy Healing Session! Intuitive reading and counseling sessions help you become aware of how different energies such as emotional patterns, belief systems, spiritual agreements, and energetic programming are affecting you either positively or negatively. A reading can be a great way to move out these old patterns and get a fresh start! Sessions are discounted to $95 for THC clients in March. Email jill@energywellnessne.com to schedule. ~ If you are looking for new ways to increase your sense of well-being and experience of abundance and would like to understand more about the subtle energies from other people and the environment that affect you — EXPLORE REIKI! Go to Joanna’s website www.joannascaparotti.com to learn about her Reiki 1 and Reiki 2 classes beginning soon and how to save $25 on tuition. Joanna can be reached at 978-338-4326. On Monday, March 24th at 7:00 p.m. and again on Sunday, March 30th at 1:00 p.m. Joanna will be giving a talk about her experience at the Reiki for a Better World Conference. Learn about this movement and how you can be a part of it! Cost $10 / free for supporters. RSVP to Joanna at info@joannascaparotti.com or 978-338-4326. Handmade Book Making Workshop Saturday March 29th from 2 -5:00 p.m.
Phoenix will be hosting the North Shore Red Tent Temple at The Healing Center on Friday March 28 at 7-9:00 p.m. The Red Tent Temple is a monthly gathering of women which serves to honor our individual and collective journeys into and through womanhood. The RTT is created as a sacred space in which the divine spark within each of us is invited to glow. We invite women of all or no faith/spiritual paths to come and experience the comfort and power found in sisterhood. ~ Reiki Share every Monday from 5:30 – 7 p.m. with Tamara. Donation $5 – 10.00. Please arrive a bit early to be ready to start on time. RSVP to Tamara at 978-595-7755. ~ Late Reiki Share with Joanna on Monday March 31st from 7:30 – 9 p.m. Donation $5-10.00. RSVP Joanna at info@joannascaparotti.com or 978-338-4326. Reiki, Massage and More . . .
Energy and Bodywork sessions are offered 7 days a week. Our skilled and caring practitioners can be reached for scheduling by phone and email. Joanna Scaparotti, RMT, is offering Crystal Sunshine reiki sessions this month. Looking for some much needed warmth and light? Joanna can be reached at info@joannascaparotti.com or 978-338-4326. ~ Dianne Mattucci, Licensed Aesthetician and Reiki Master offers skin-loving holistic facials & nurturing reiki sessions. Enjoy a 45 minute facial or reiki, or also discover why her “75-minute Signature Reiki Facial” is so popular. 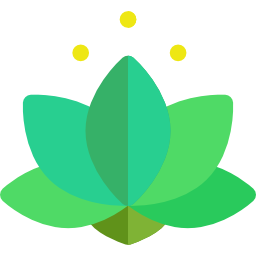 Check out Dianne’s website: Lotus Skin Therapy & Reiki at www.diannemattucci.com to learn about her practice and conveniently book your sessions online. Call/ text 857-237-2014 or email Dianne_M17@yahoo.com. ~ Jill Alexander‘s Intuitive Reading and Counseling Sessions help you become aware of how different energies such as emotional patterns, belief systems, spiritual agreements, and energetic programming are affecting you either positively or negatively. A reading can be a great way to move out these old patterns and get a fresh start! Sessions are discounted to $95 for THC clients in March. To book a session please email: jill@energywellnessne.com . Archangel Circle, a 45-minute teleconference, starts at 11:00 a.m every Tuesday morning. Each week there will be a discussion of a different Archangel, a meditation with that angel, then a group message after the meditation. To join the teleconference via NEW PHONE NUMBER: 978-432-6822. (no pin number needed). Drop-in Lunch Hour Archangel Circle at The Healing Center on the 4th Tuesday of every month from 12:15 to 12:55 p.m. An explanation of how we connect and the messages we receive from the archangels. then a visual meditation and some sharing and writing. For more information contact Peg at: peg@pegsangelicalwhispers.com or 978-532-0574. ~ Each Wednesday from 6-7:00 p.m. Tamara holds Meditation Circle. During each Meditation Circle Tamara teaches easy-to-use meditation techniques that you can use at home to help you achieve a calmer, more peaceful state of being. At each circle you will experience a different meditation style with a brief introduction discussion, followed by a short film. Time is set aside to practice the meditation. No prior meditation experience is needed, and all are welcome to attend this circle. Join us in a soothing, nurturing atmosphere and allow yourself to experience an hour of peaceful meditation. Drop-ins are welcome. Call 978-338-5571 or 978-595-7755 for more information. Donation $5-10. Please arrive at 5:45 p.m. to begin on time. Previous postHelp us support the Food Bank!